Janelle In Real Life: I'm back & some insta-fun. I'm back & some insta-fun. Hey friends! 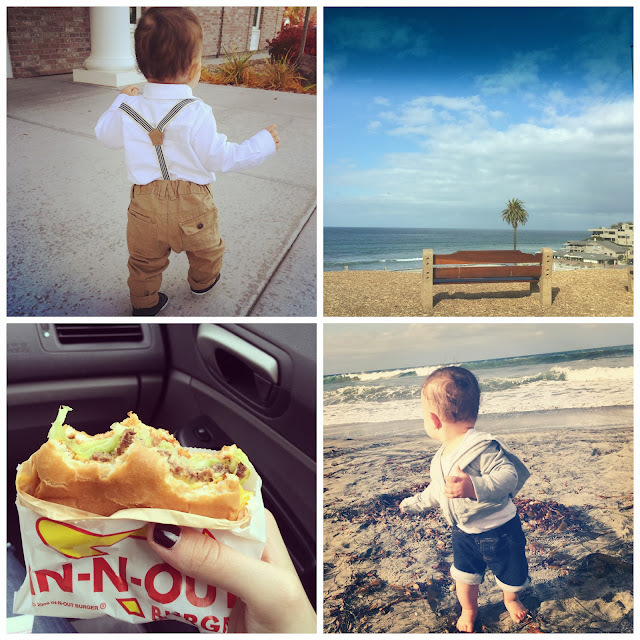 I took a little bloggy break to spend time with family in California, but now I'm back! It was fun seeing everyone and Carson loved all of the new things and people, but the trip was pretty hard on him. We are used to Mountain time, so we gained an hour going to California and another hour because of daylight savings. Normally it would be super cool to gain two extra hours because hello, more sleep. But when you have a one year old who doesn't understand time changes it really just means waking up at 5 a.m. We are happy to be back at home and to get back to the normal routine. 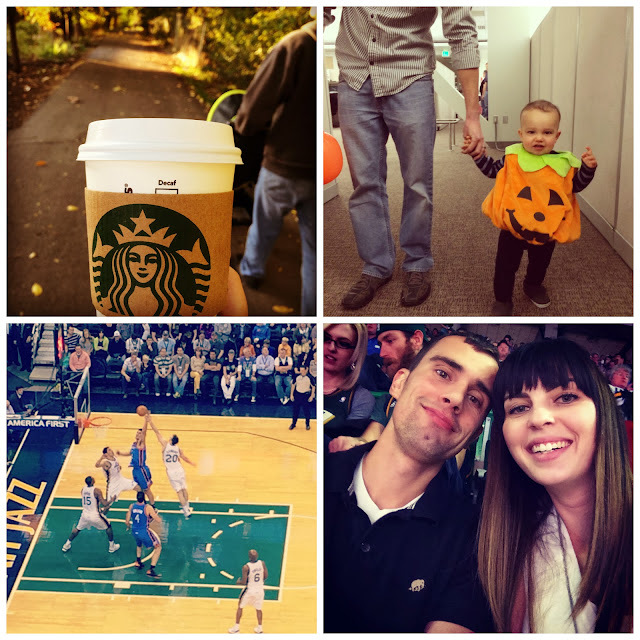 Here's a little insta-recap of what's been going on around here lately. And thank you San Diego trip because we missed the first snowfall in Utah! Ha! However, it still dropped like 10 degrees from the last time we were here so... hello sweater weather! so cute! im obsessed with those little baby pumpkin costumes! Looks so loverly, especially the in and out, less so the disturbed sleep! Love the picture of your son. Too cute and I love in and out burgers. Looks like you had a great trip! Love all of your pictures!